In this lesson we take a look at a Harley shifter shaft seal replacement. This demonstration is intended for Sportster or Softail models that are set up with a mid-shift assembly. In this type of set up, the shift linkage travels through the primary drive and exits from the outer primary cover. These seals have longevity under normal riding and routine maintenance. However, they can be more prone to leak if the outer primary cover has been removed without replacing the Harley shifter shaft seal or if the shift shaft has been compromised in any way. 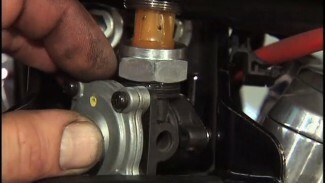 Before attempting to remove the Harley shifter shaft seal, the shift arm needs to be removed from the shaft. It is good to make a small mark on the shaft with permanent marker so that there is no mistaking the correct location of the arm upon reassembly. Often times, the shift arm will be difficult to remove by hand. It is acceptable to pry off with small pry bars or screwdrivers, but it is of utmost importance that care is taken to protect the primary cover and the finished surface of the shift arm. Depending on the year and model, there may be a small rubber spacer behind the shift arm. This spacer needs to be reused. If it has been damaged or deteriorated over time; it needs to be replaced. Removing the seal can be tedious. Extreme care must be taken not to damage the outer primary cover or the surface of the shift shaft. 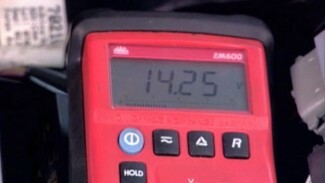 If the surface of the shaft is scored, the new seal may leak as that is the sealing surface. Try to puncture the old seal with a small pick or screwdriver. You will typically have to score, at least, couple of spots on the seal in order to get it on the move. Sometimes the seal will begin to spin out. Other times, you will be able to hook and pull the seal out. Lube the new seal and use a layer of clear packing tape over the splined area of the shift shaft to protect the new seal upon installation. Gently tap it into position with a deep socket or spacer. Regardless of how the Harley shifter shaft seal removal is approached, patience must be practiced. Don’t rush. Don’t become frustrated if the seal does not pop right out. There is no one correct, set process to accomplish this repair; it is only correct if the job is completed with a properly installed, new seal, and without damage to any areas of the motorcycle.